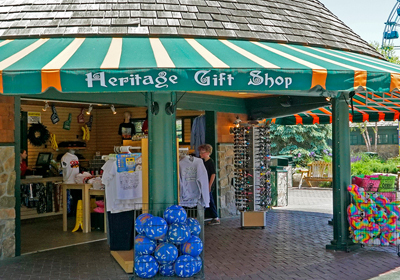 Be it the start of your day, throughout your trip, or before you leave for home, make sure to stop by our Heritage Gift Shop located at the Park Entrance Plaza to pick up the lasting memories of your time with us! 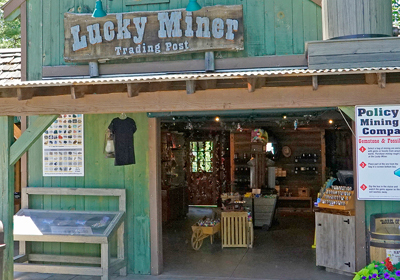 Swing by the Lucky Miner Gift Shop for exotic souvenirs including gems, rocks, fools gold, and so much more! 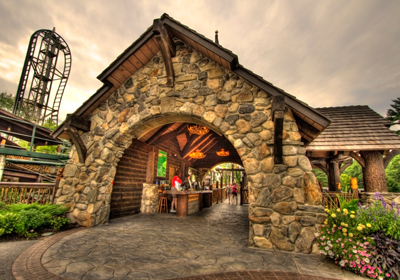 Plus, try your hand at mining in the rushing waters to uncover your buried treasure! 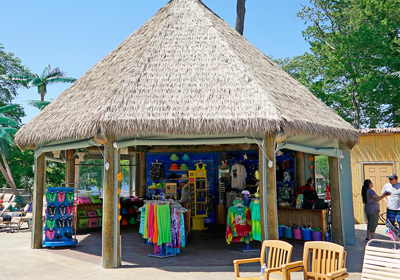 Located inside of our Castaway Island Waterplay Complex, Coconuts Gift Hut has all of the necessities for splashing through a fun filled day at the Park! After an exhilarating ride on our roller coaster, UNTAMED, stop by the Bear Claw Gift Shop to pick up that lasting keepsake or on-board photo. 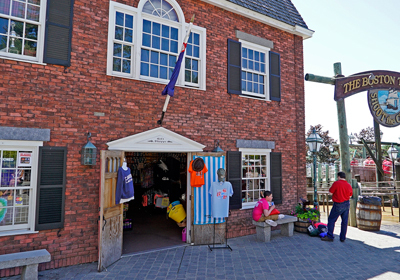 While strolling through the "Ye Olde Boston" section of the Park by the Boston Tea Party ride, feel free to stop in to the Fife & Drum Gift Shop for great Canobie memorabilia. Looking for your first tattoo? 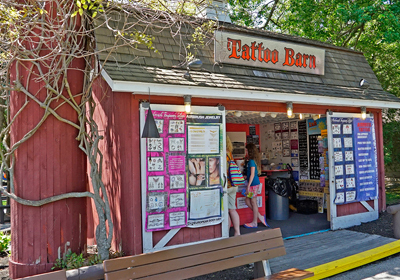 Stop by the Tattoo barn across from the Upper Train Station for a great selection of styles and designs. Don't worry... it's not permanent.